It was the Morning of December 30, Rizal Day, when me and my Ate Judy went to Divisoria, Manila to get some last minute shopping for our upcoming trip. Before heading to SM Mall of Asia, we first went to 168 Mall at Divisoria to get me a new housing for my new iPod Touch 5! We left home at around 8 in the morning and arrived at Lawton around 9 am where we shall ride a jeepney to Divisoria. The driver dropped us in the corner of Luna because jeepneys are not allowed to enter the street so we decided to go down and there it was. STARBUCKS! I was planning to buy my Manila mug on that day, on Mall of Asia though but since The Starbucks was already in front of us and at that place, Binondo, is really in the City of Manila as compared to Mall of Asia which is in Pasay so it is much better to buy it from there. 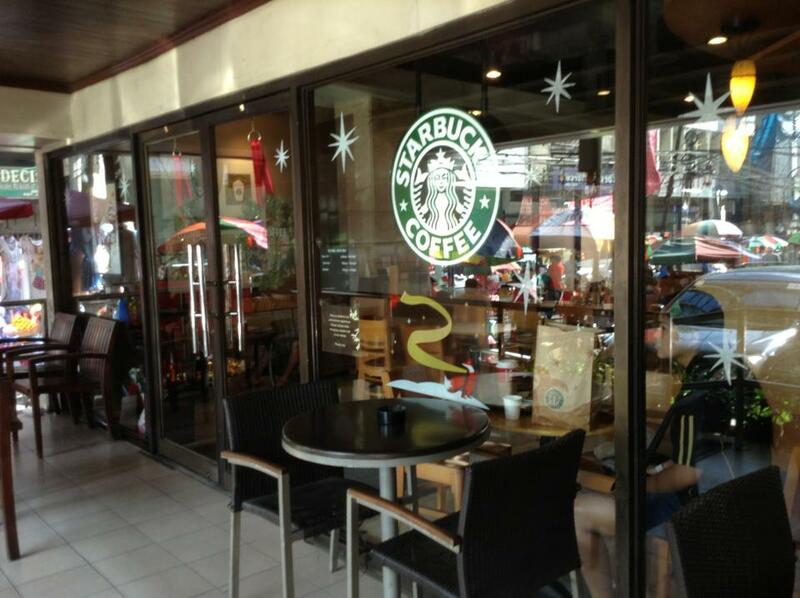 So we crossed the street and entered the magical kingdom of Starbucks. Starbucks Binondo taken by my new iPod! I love my new iPod! The camera is so clear and the pod really is handy! We got inside and LUCKILY! 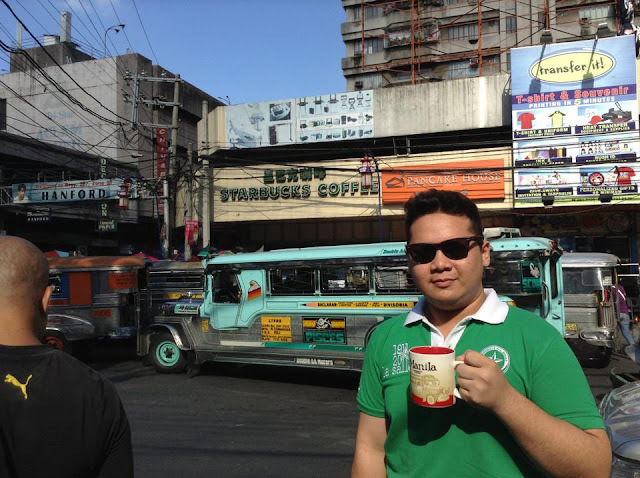 There was only ONE Manila Starbucks Mug! The Lord really is helping me and also my Mommy of course, in collecting this beautiful babies! So without further adieu< I grabbed it and went straight to the counter! I'm so happy to have my fourth Mug, Manila! So after payment we went outside. I asked my ate to take a picture of me but she insisted of taking the picture from across the street! Here it goes! It was very risky to take that picture because there are so many people but we still did thanks to my very supportive Ate Judy! 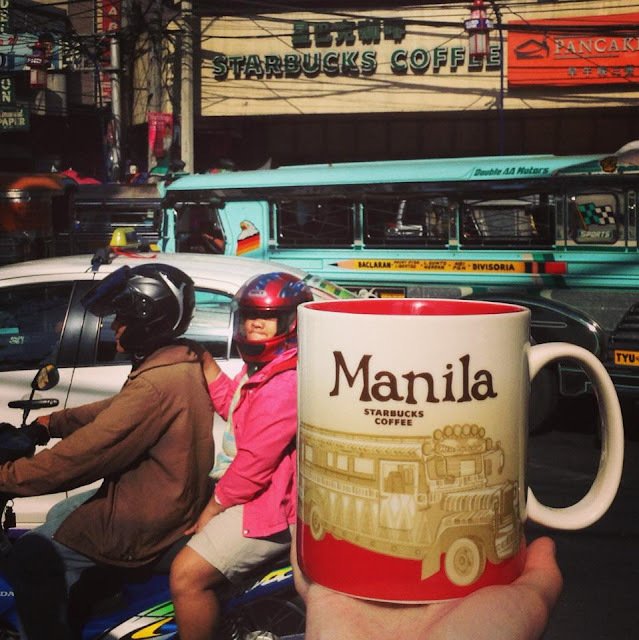 She even took the shot with the jeepneys passing buy which is on the Mug's design. The STARBUCKS MANILA Global Icon Mug features the Philippine Jeepney in the front and at the back, a beautiful scribble of the famous Manila Bay Sunset! I will always have so much fun on this journey of collecting these beautiful works of art by the best coffee shop in the world!!! HAPPY NEW YEAR 2013!!! Keep Brewing! Dreaming!